That is the main Facebook page for Red Gambit. 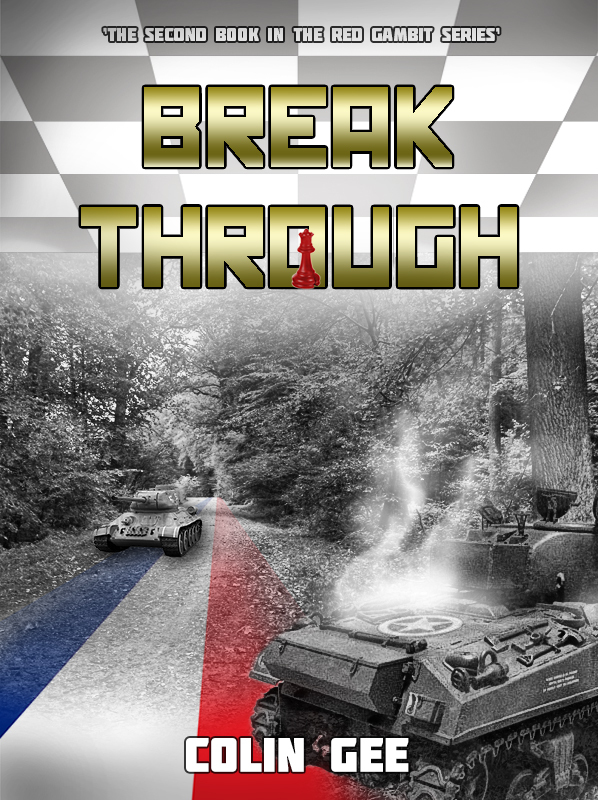 'Opening Moves', 'Breakthrough', 'Stalemate', 'Impasse', 'Sacrifice'. 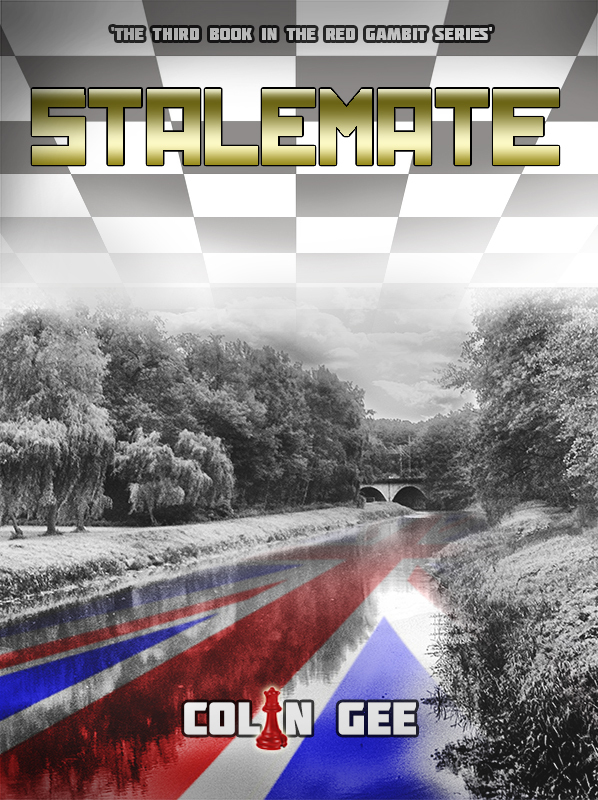 'Initiative', 'Endgame', and 'Caissa' are the eight books in the Red Gambit series. They are now available as e-book downloads on Amazon Kindle. [search for Red Gambit or Colin Gee] For those who prefer to handle the real thing, hard copies are also now available via createspace.com [an Amazon spin-off] or within Amazon.com as a print-to-order book. 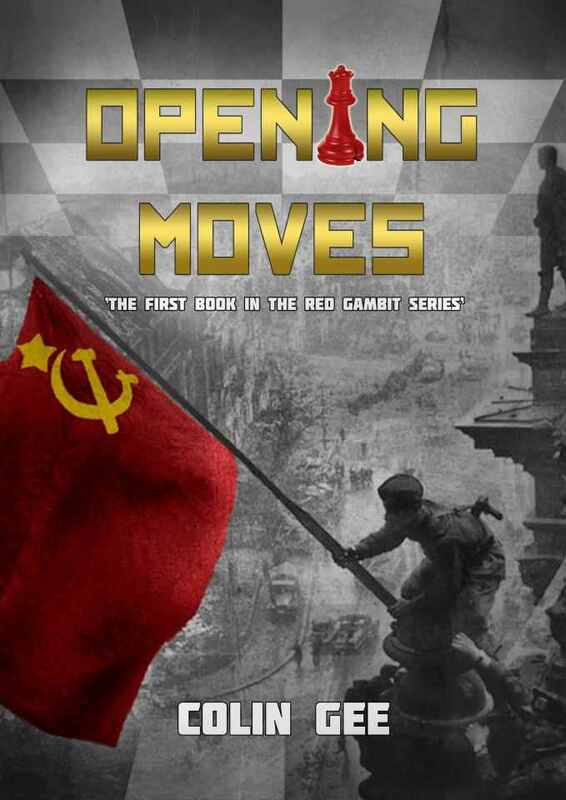 If you already have 'Opening Moves' on your kindle, then make sure you have the sixth edition downloaded. Each book will be accompanied by a companion Biography volume, dealing with any and all characters mentioned in the appropriate volume, and dated up to the end of the described events. Alas I am unable to provide the bios free of charge, as was my intent, so I have set them at the lowest possibly price, as well as setting the book proper at what I consider extremely good value for money. They also contain all the graphics from the main book, as well as orders of battle and the full glossary to make things easier. I will include extra snippets when they are available. The Wargaming rules that support the book series are nearly complete, having been written over a period of some 30 years! They will be produced at some time, but are not presently my priority. Follow 'Red Gambit' on Facebook, group 'Red Gambit'. The series of books will cover the events in Europe and the Pacific commencing in June 1945 through many bloody months to their conclusion in October 1947. From the cold waters of the Baltic to a coffee shop in Turkey, a Chateau in Alsace to paddy fields in China, a foxhole in Northern Germany to the Kremlin's private offices, the Red Gambit series will carry you through the events that lead up to and continue through what became known as World War Three. Told from the point of view of the soldiers in the frontline, aircraft pilots, submarine and tank commanders and on to the Supreme Commanders on either side of the divide. Ride with Colonel of Tanks Arkady Yarishlov of the Red Army, fight alongside Major John Ramsey VC of the Black Watch, learn about leadership and honour from ex-SS Standartenfuher Ernst-August Knocke and follow Major Marion J Crisp to glory with the 101st US Airborne Division. Ever read a book and wondered 'what happened to him'? Every character in the 'Red Gambit' series, fictious and real, possesses a legend; a biography to fill in the gaps in your mind. For some minor characters they cover solely birth and death but many others carry on before and beyond events in the books. Please read the books now, and enjoy them for the story they are. I have done a great deal of research, and clocked up nearly ten thousand miles in driving around Europe, just to get a sight of a building, or a feel for a battlefield. The books are written in English, so please have a mind to that before complaining about spelling. We English employ a 'U' in words like honour and valour. None the less, I know there are errors, and I intend to re-edit all the books as soon as is practicable. These forums are available to discuss anything of interest raised and I hope they will be able to provide me with guidance on how to improve as I go along. Facebook Group 'Red Gambit' is very active at the moment, and there are many opportunities to influence the progress of the books, as well as to interact with key personnel. Finally, I implore those who download my work not to distribute it freely, simply because you can. I have invested a lot of money, time, and effort to bring these to you, and to break my copyright denies me my dues.